Christy Webber Landscapes holds a leading position in the Chicago landscape construction market with extensive experience designing and building projects for municipal, commercial, and private landscaping clients. Comprehensive services include landscape design and construction to year-round maintenance. Our dedicated and qualified team will partner with your architect or general contractor to exceed your expectations. Our award-winning installations include: Millennium Park, Chicago Bulls Practice Facility, Art Institute of Chicago Modern Wing, Pritzker Family Children’s Zoo, 500 N Lakeshore Drive, Westfield Old Orchard Mall and Back of the Yards High School. Green roof design and installation requires special expertise and our team has worked with all of major green roof systems on the market. We are also certified Live Roof installers. 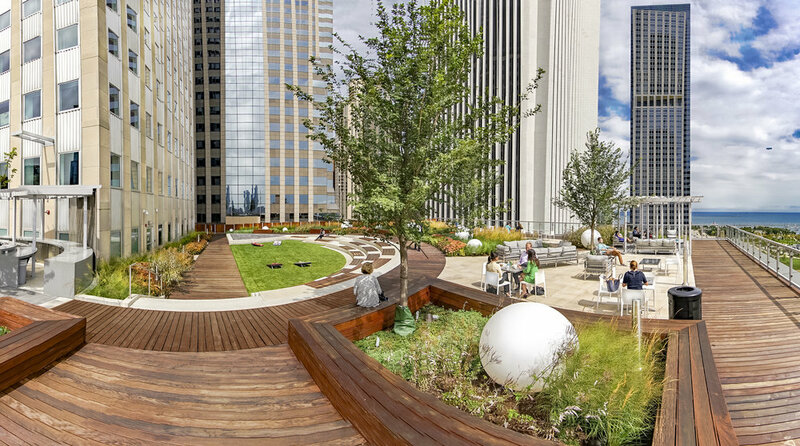 Our green roof projects include: 900 North Michigan, Motorola Headquarters, Kennedy King College, Prudential, and the Chicago Bulls Practice Facility.